Citroen C3 Boot Space, Size, Seats | What Car? In the Citroën C3 there’s little to quibble over concerning front seat space. Even if you are tall you get head and leg room to spare, and for a small car, the shoulder room between you and your front passenger isn’t bad, either. Not only is there space for you, but there’s room for a few odds and sods, too. The door pockets aren’t vast, but will take a 500ml bottle of water laid on its side. There are also a couple of cup holders for your café latte in front of the gearlever, and above a place to store your phone near the USB port. You get a decently big glovebox as well. 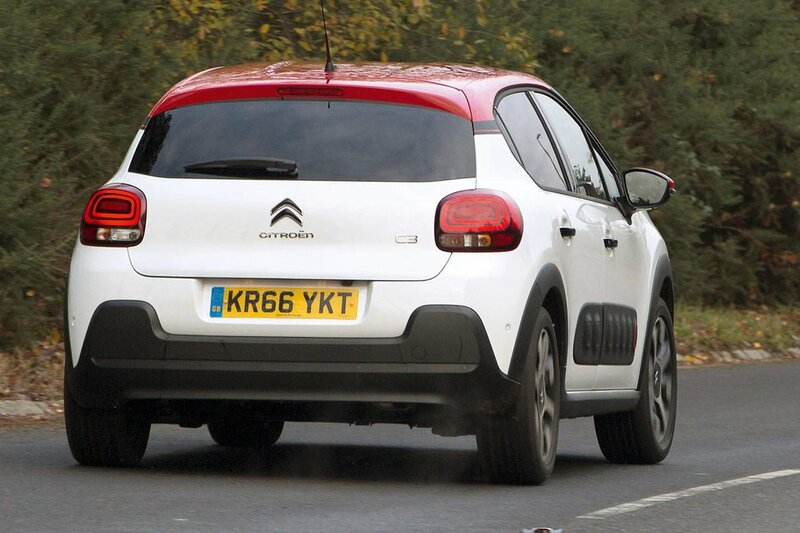 Rear-seat space isn’t one of the C3’s fortes: the head room is below-par, and at best the leg room only average. It’s fine for kids, but if you regularly carry adults in the back, particularly those above average height, look instead at cars such as the roomier Skoda Fabia, Hyundai i20 or Honda Jazz. Storage wise, from mid-spec Feel trim onwards you get map pockets on the back of the front seats. All models come with small rear door bins. Seating flexibility is all about clever stuff that makes the car more comfortable and practical. 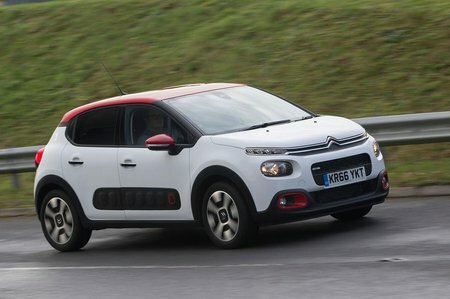 The C3 doesn’t really do much of either, to be honest. It’s the same in the rear. 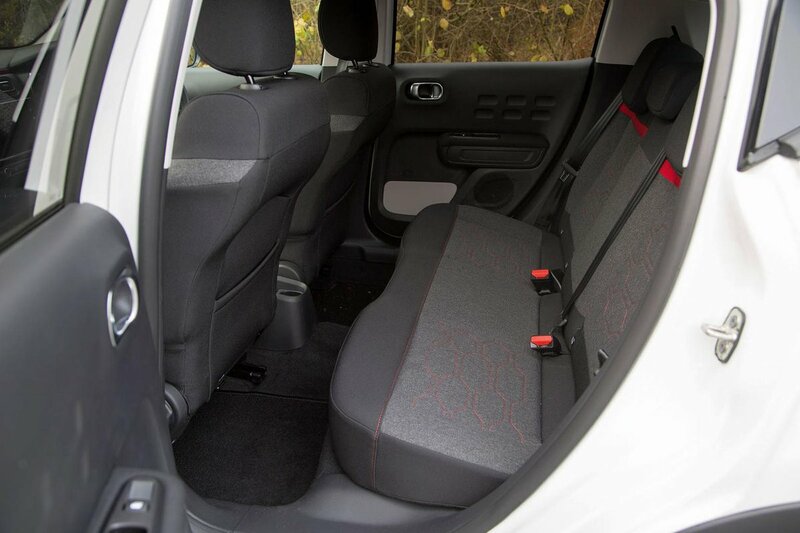 Unlike a Honda Jazz, which offers all sorts of seating combinations to help prioritise between carrying luggage or passengers, the C3 just comes with folding rear seat backs, split in a 60/40 arrangement. The C3’s boot is big enough to take a couple of travel-sized suitcases, or a three to four large shopping bags, in other words it’s about average for the class. The Skoda Fabia’s boot is about 10% bigger, but even that isn’t as big as the Honda Jazz’s, which is as roomy as some larger family cars. Unlike certain competitors there’s no dual-height boot floor to let you separate out delicate items. And once you’ve dropped the 60/40 split-folding rear seats, there’s a sizeable step in the lengthened boot floor. You also have to contend with the small loading lip from the tailgate opening to the floor of the boot. This adds to the strain of lifting heavy items in or out.